With spring soon to come, you may want to give your space a fresh new look. Curious about how to go about vamping up your room’s aesthetic? An easy and cost-effective solution is to add some depth and color to your ceilings and walls. Here are some great DIY options for ceiling and wall upgrades that will completely redefine your space! Changing the look of your ceiling tiles is one of the most effective ways to create a completely new look in your space. PVC and tin ceiling tiles offer an affordable alternative that you can easily install yourself. Some options allow you to simply glue them onto your existing tiles for a simple, yet effective upgrade. They can be water and mold-proof and many come with a Class A fire rating for commercial spaces as well. Ceiling tiles come in a wide range of styles, textures, and colors to accommodate practically any interior design style. Plus, they’re low maintenance and can be easily cleaned with a damp rag. Another great way to spice up the look of your space is with backsplashes. While commonly used to change the appearance of the kitchen area, backsplashes can also be installed onto walls, panels, doors, and even furniture. Like ceiling tiles, they can simply be glued onto a clean, hard surface, making them one of the easiest DIY projects you’ve ever done. Backsplashes also come in a variety of choices, from faux copper to wood grain styles. They work well in homes as well as decorative accents in restaurants, hotels, and offices as well. Looking for a design alternative that’s a bit more simple? Styrofoam rosettes and ceiling medallions are the perfect finishing touch to any ceiling. You can find them in intricate and detailed styles or in clean, contemporary designs. Rosettes and medallions can be glued or even taped onto a ceiling. You can use them on their own as accents on your ceiling and walls or as a compliment to a ceiling fan. Have curved walls or columns? Bendable crown molding is the perfect way to add an elegant aesthetic. They’re not only affordable but are also easy to install. Plus, they can be installed on chair rails and baseboards, making them a flexible and versatile accent feature. Finally, they also come in a variety of styles to best suit your design needs. This Spring, give your space a new look with one of these easy and cost-effective ceiling and wall upgrades. And for your upcoming DIY project, be sure to visit us online today to browse our expansive selection of ceiling tiles, backsplashes, rosettes, and crown molding! Renovating your space can be an expensive project to take on, whether for a home, restaurant, or office setting. What if you still want to upgrade your space without breaking the bank? A great route to take is simply doing the renovations yourself. And while you may not be able to do all the work a professional contractor can, there are still some things you can do on your own. With this in mind, here are our top 3 favorite DIY design projects to give your space a new look. Redefine your space with an accent wall! Whether you want to stick to a monochromatic palette or a complimentary one, changing the color on one wall creates a dynamic look to your space. Plus, you can get cheap paint samples to test out what colors work best in your space. Just be sure to try out the colors when you have a good amount of daylight. This ensures you get the best idea of how it will look on a day to day basis. Or take things up a notch by trying something with texture! Try faux brick wall panels or perhaps go for a more elegant look with a Glue Up Backsplash Rolls instead. Both painting and textured panels work great for commercial and residential spaces. And no matter which way you go, an accent wall is one of the best cost-effective DIY design projects out there. If you’re willing to try a wall, how about taking on the ceiling? Painting the ceiling an accent color is also a great way to add vibrancy to your space. But if you really want to make an impression, try glassless mirror ceiling tiles (which are easy to install and also shatter-proof). This will add light and height to your space, a definite win-win! 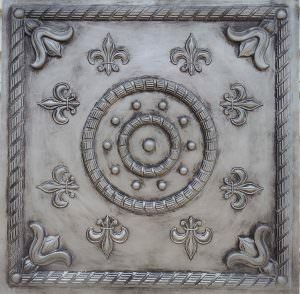 Or how about textured metal ceiling tiles? Copper, silver, and gold are classic choices. You can even find plastic PVC options for even easier installation and maintenance. 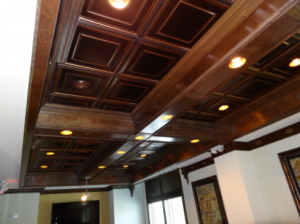 Check out this article on copper coffered ceiling tiles for some inspiration! All eyes will definitely be drawn upwards with this design feature. What better way to add sophistication to your space than with crown molding? And believe it or not, this is actually a great DIY design project! While traditional crown molding is typically installed by professional, there are some great faux crown molding options out there that can be done on your own. Some alternatives to consider are bendable crown molding or styrofoam moldings. Both offer cost-effectiveness and easy installation and are excellent ways to give your space the same look as the real thing. At Ceiling Tiles By Us, we offer a variety of great DIY design projection options, to include wall panels, ceiling tiles, and crown moldings. So, visit us online to explore our line of top-quality, cost-effective products. When making home renovations, cutting corners for cost is generally a slippery slope. After all, you wouldn’t want to get a cheap foundation and then find down the line that your house is sinking into the ground. However, the biggest place you can save money during a home renovation is in accent pieces. Namely: bendable crown molding. Not only is it incredibly useful, it will also save you a pretty penny. Bendable crown molding is useful for a variety of purposes. It is most useful when providing trim on rooms where the walls aren’t straight lines only. For example, tracing curves in walls/ceilings/floors is a strong suit for bendable crown molding. It bends to form-fit the shape of the room (hence the name). Likewise, this molding is great for covering different wires, pipes, and anything else that may run from one room to another. Because bendable crown molding is not stiff material, costs are low. 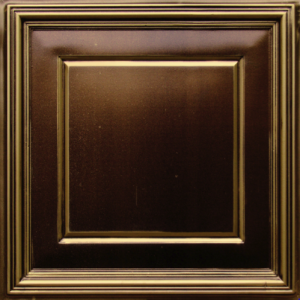 This makes the molding very affordable without compromising the quality and functionality of this product. The molding can provide a home renovation an elegant quality without having to fork out a ton of money on this aspect of the renovation. Another way that this type of crown molding is special is that it is customizable with paint to provide a variety of different looks for your home renovation. At Ceiling Tiles By Us, we offer bendable crown molding in a variety of materials to meet your home renovation needs. The ceiling can make all the difference. Ceilings are often overlooked and plain. When a home has a renovated and unique ceiling, though, it can distinguish the entire house. If you’ve been looking for that new touch to bring a fresh take to your home, ceiling tiles can truly make the place look remarkable. There are a range of options. In addition to our basic offerings for ceiling tiles, we also offer luxury drop in ceiling tiles that can make your home look splendrous. These include antique designs, modern designs, and even new styles for the office. They’re easy to order and install. Unlike other aspects typical of a home makeover, ceiling tiles are something that can be easily ordered and installed yourself. Most of our ceiling options only require simple cutting and gluing with rubber cement. This is a small task for such a big change in your home! To explore our selection for the Fourth of July sale, click here. For the rest of our catalog, find us here. The most expensive and lavish homes anyone ever did see, are commonly found in the U.S, ranging in price of up to $350 million dollars. 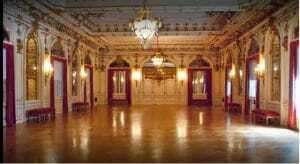 Like this Magnificent Ball Room in Flagler Museum in Palm Beach, Florida. Sheesh! Although the location square footage of the home determines how high its price will go, it’s all about the amenities and details that hike up the real estate number. From the landscape to the ceiling tiles, everything that goes into it determines how much a home will cost. A lavish and modern home typically includes multi-garages, a number of various stories (did you know the White House has 4 stories? ), bedrooms, bathrooms and gigantic kitchens. Architecture and home decor trends are rotating doors that change quickly. The minimalist trend for home decor features clean and appealing artifacts and designs. A ranch-style decor is currently popular right now as well. Trending architecture and the labor/cost it takes to define a home. The kitchen takes the cake when it comes to architecture. The kitchen is typically the area, aside from the living room, that a lot of thought should be put into. Why? Because the kitchen is the nucleus of the home. Philkeandesigns.com states that “Kitchens are getting bigger. What was once hidden away is now the epicenter of every home. The dining room has begun to fade as seating space is now included as part of the kitchen.” Elegant and beautiful backsplashes are very popular details a number of lavish homes. Even the more affordable home kitchens can benefit from backsplashes, due to the touch of luxury they bring. Not everyone can afford a $1+ million dollar home, but yours sure can look like it. The most affordable and sophisticated ceiling tiles and backsplashes are never too far. Contact us today. Plastic Ceiling Tiles – Drop In Plastic Ceiling Tiles? If you are interested in changing your existing drop ceiling tiles, we offer a variety of choices. Our Plastic Ceiling Tiles come in a size of 24″ by 24″ & 24” x 48” and in as many as 30 different color variations and designs to choose from. To give your space a more modern look you can replace your older traditional acoustic tiles with our plastic ceiling tiles, but keep those old acoustical ceiling tiles in the grid and insert our beautiful plastic ceiling tiles beneath the existing acoustical ceiling tile. Already have a drop ceiling tile in your grid system but don’t know what to do with it? Just choose any drop ceiling tile from our inventory to order, and when you receive your shipment, simply install the plastic ceiling tiles. You can drastically alter the look of your home, office or business with our drop-in ceiling tiles. With so many choices, it is easy to find something that suits your style and needs. Why settle for a dull plain ceiling when our do it yourself drop in ceiling tiles can help you transform your space. Our drop ceiling tiles not only offer aesthetic beauty, but also come with a class A fire rating and are fire retardant, meaning they received one of the highest fire-resistance ratings. Now you can rest easy that your do-it-yourself renovation project is also beneficial as well as attractive. View our entire selection of Plastic Ceiling Tiles at our online store.